Luigino Bruni is currently Professor of Economics at the Department of Economic, Political Sciences and Modern Languages, Libera Università Maria Santissima Assunta (LUMSA) University, Rome. 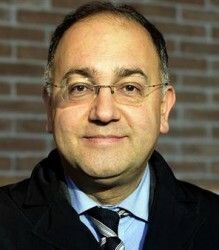 He is the international coordinator of the project Economy and Communion, an initiative of the Focolare movement. In his research Luigino Bruni focuses on reciprocity, understood as the gratuitous and free exchange of gifts, as a mode of re-embedding economic relations, works to re-conceptualize the market and economic relations as a social institution maintained by specific norms, cultural matrices, conventions and social practices and hence as offering potential means to generate virtuous and politically significant social relations and institutions. Communities and organizations that have preserved their creative and fruitful character over time have been able to live with members’ vulnerability to fellows’ wounds; they have not eliminated it entirely from their territories but have found ways for coping with it. Vulnerability (from Latin vulnus: wound), like many true words of the human realm, is ambivalent, because good vulnerability coexists with bad vulnerability, and often the two are intertwined. These themes are addressed as well in his book The Wound and the Blessing: Economics, Relationships, and Happiness (2012) in which he offers an authoritative and innovative look at the cultural and anthropological premises underlying contemporary market economies and their promises and points out the need for balancing the increasing tendency toward isolation with the human need for relationships. Gratuitousness, as free and open reciprocity, which Bruni distinguishes from altruism is presented as a means for maximizing the benefits of the market without losing the joy that comes from putting relationships with others first. Blogposts by Luigino Bruni, such as ‘The Pyramid of Victims’, ‘Faith is not a Market’, ‘Better Two than just One’, ‘The Fatigue of Waiting is a Living Thing’ and many more can be found at the Economy of Communion website. A recent talk on Vulnerability in Economics and Business can be found on youtube.